This Ford F-150 XLT has everything you are looking for in your next truck, at an affordable price! 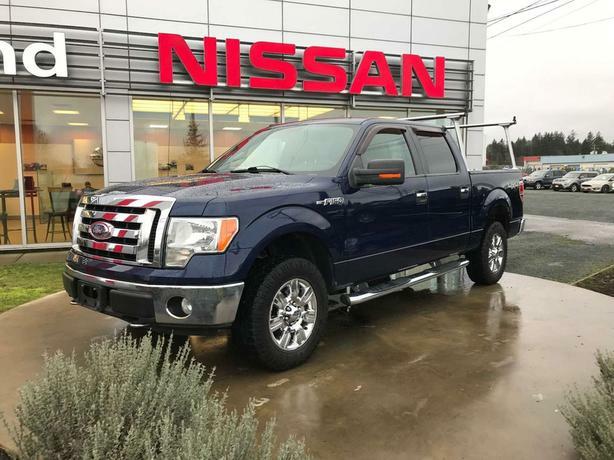 For features, the XLT model comes with power locks, windows and mirrors for your convenience, as well as air conditioning to keep you cool on the hot summer days. There is also cruise control for those highway road trips and there is even seating for 6 people in this truck! There are also running boards allowing for easy access into the cab and there is also a pair of aftermarket kayak racks!